This is a selection of artistic litho prints by British illustrator Alice Tait. 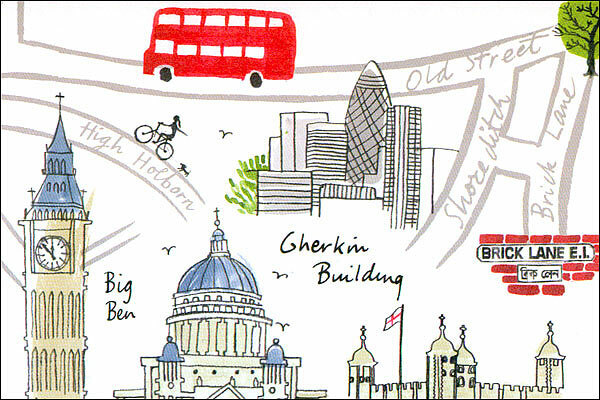 Inspired by maps, travel and people watching, Tait creates colourful and quirky illustrations capturing the mood and style of the city. 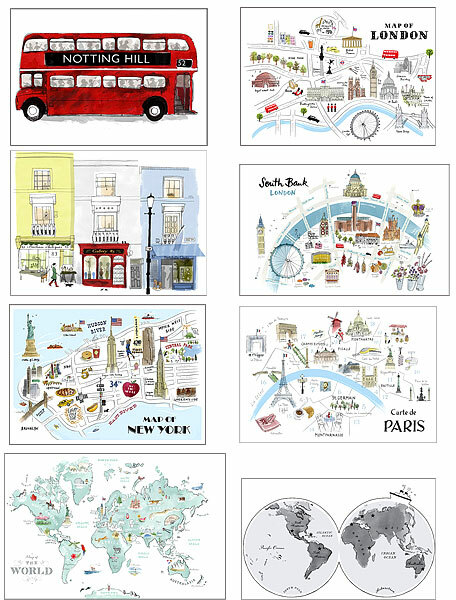 This is a beautiful range of drawing based and watercolour styled prints, including city maps and street scenes. Individually hand signed by the artist for a unique touch, comes in a plastic sleeve and back board; printed in the UK on high quality, watercolour style paper. 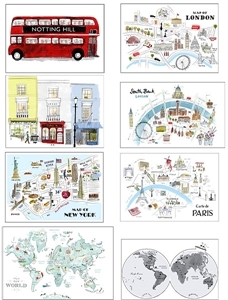 The prints are suitable for framing and will brighten any room adding a stylish touch. Alice's illustrations are drawing based, reflecting her love of typefaces and handwriting. Alice Tait is a prolific artist and has worked for Vogue, Chanel, Jamie Oliver, Penguin Books, to name just a few.